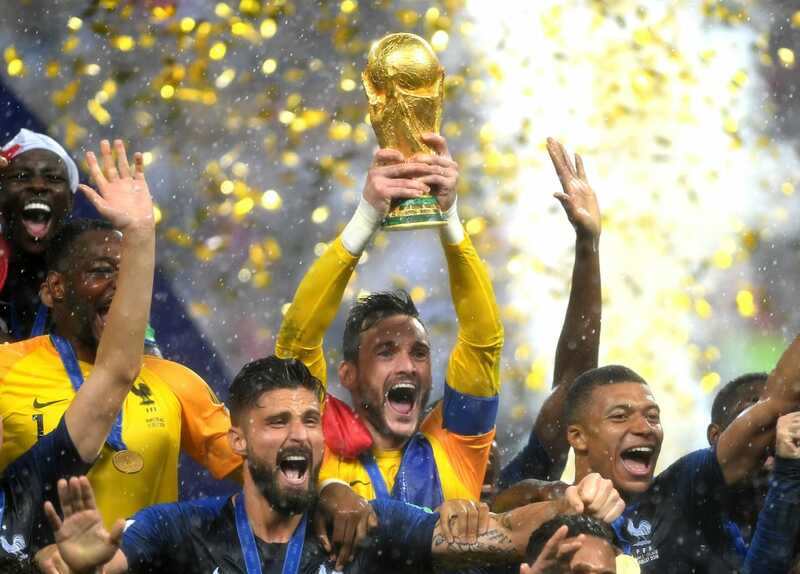 France have won the 2018 Russia World Cup after defeating Croatia 4-2 in a thoroughly entertaining Final at the Luzhniki Stadium, Moscow on Sunday in what was a fitting end to an outstanding tournament. Despite Croatia having the majority of possession in the opening stages, France took the lead in somewhat fortuitous circumstances. Antoine Griezmann’s lofted free kick from the French right was nodded into his own net by Mario Mandzukic. 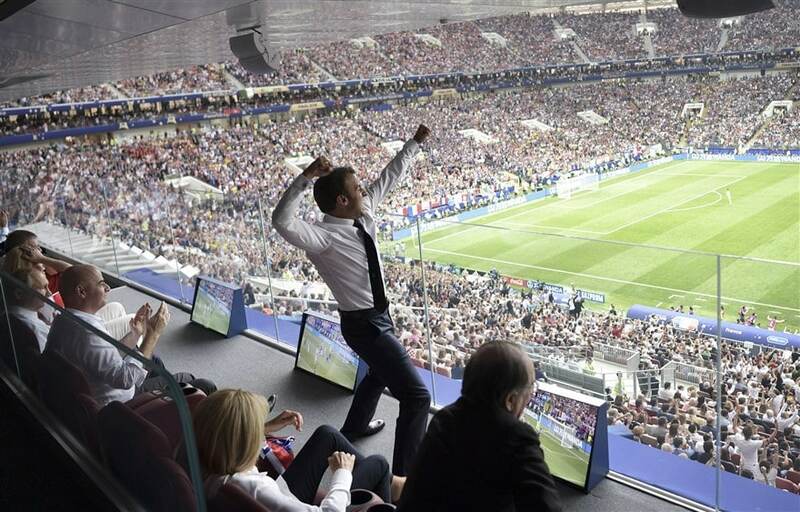 French President Emmanuel Macron reacts during the final between France and Croatia. Mandzukic then scored in the same net, but this time to Croatia’s advantage, capitalising on some carelessness by Hugo Lloris to reduce the deficit. 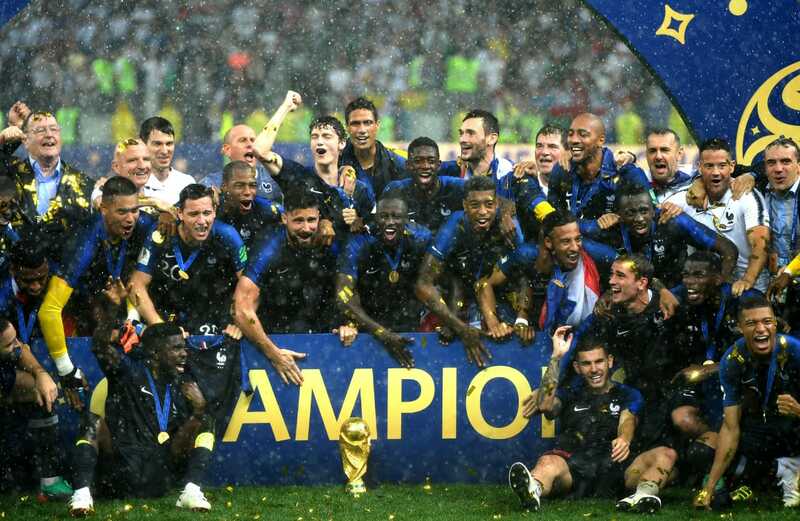 In the end, the big No17’s strike was not enough to spark yet another miraculous Croatian comeback, and Les Bleus emulate their heroes of 1998 – including coach Didier Deschamps – in securing their second World Cup title. 60 years since someone as young as 19-year-old Kylian Mbappe scored in a World Cup Final: the then 17-year-old Pele for Brazil against Sweden in 1958. This was also the highest scoring final in regular time since Sweden 1958’s finale.